Always be willing to unlearn what you think you know. The Berlin School of Creative Leadership is more than an incubator for leaders from traditional creative industries; it is also the perfect fit for innovators and entrepreneurs like Hali Wong. 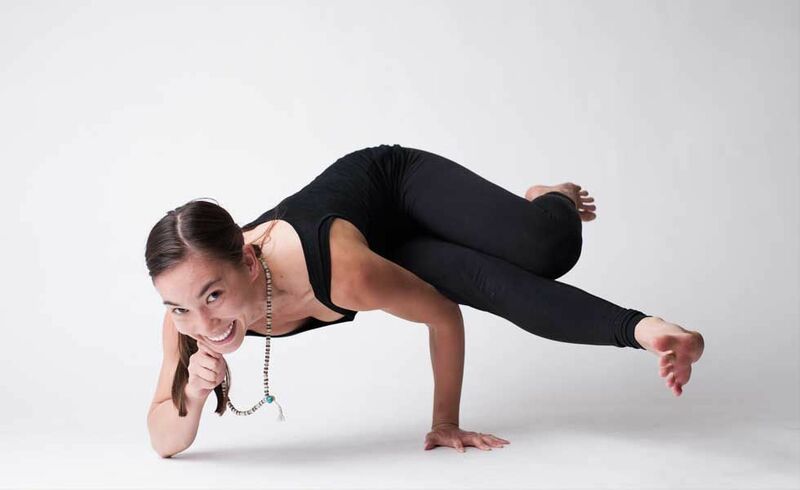 Canadian born and US-based Yoga Industry Innovator Hali is an Executive MBA candidate with big ideas and has turned to the Berlin School to help shape her path as an innovator and a creative leader. During this summer’s Berlin module she told us a little about her EMBA journey. As someone coming from outside the traditional creative industries, what inspired you to study creative leadership? I wanted to develop my skills in business, however, coming from the Yoga Industry, a more typical MBA trajectory didn't feel quite right. I needed a program that was open minded, looking to push boundaries, and one that would give me the tools to be and do the same. Honestly, for me, it wasn't so much an inspiration to study creative leadership but a necessity. Tell us a little about your role as a Yoga Industry Innovator. Honestly, at this point I have no idea what my role as a Yoga Industry Innovator is. I came to this school with the intention to help yoga studios find a strong balance between the structure offered by traditional business practices and the ethical values that guide the practice. Now, however, having completed 3 of the 5 modules I find myself completely reevaluating my position and how I can best serve, not only the yoga industry, but people in general. So let me get back to you on this one when school and life have unveiled themselves to me a bit more. Each module you get to learn along side people from various industries, cultures and professions. What have you learned from your fellow Executive MBA students? How do I even begin to answer this question?! I cannot speak highly enough about the spectacular human beings I am lucky enough to call classmates and now friends. Each and every individual has brought a depth of knowledge I have only begun to scratch the surface of. While the individual lessons I have learned from my classmates are far too numerous to count, there is one lesson in particular that I hope to carry forward in my career and life in general; that is one of continuous learning. As far as I can tell, the people that surround me in this program have no need to continue to study. They are immensely successful in their respective fields and would probably be just fine without further education. But, settling with "just fine" in their individual endeavors is not enough and their passion and humility drives them to do more and be more (both in business and as people). To say I am inspired by their continuous drive to learn is a vast understatement and I hope to one day find myself with equal depths of knowledge and the same humility to know there is always room to keep growing. What’s the most valuable or memorable thing you’ve learned during your Executive MBA Studies so far? Describe your Berlin School experience to date in 140 characters or less.